Weddings in Lecco: Why choose the Castle of Rossino? A medieval residence surrounded by vegetation, with a staff of professionals taking care of all your need. All at just 7 km from Lecco. The Castle of Rossino is the right answer if you are looking for an exclusive location for weddings near Lecco. A witness of history and pure beauty, the Castle was one of the fortresses of the Benaglio family, powerful lords who ruled for years over the San Martino Valley. Celebrating your wedding here means immersing yourself in a unique atmosphere full of charm and history. The manor charmed even Manzoni, who chose it as the residence of his character, Innominato. The lush gardens surrounding the castle are the ideal location for Lecco weddings. A place to enjoy the magnificence of Lake Como in total relaxation. The Castle is also available for weddings in winter. Those wishing to experience the magical atmosphere of a snow-covered castle can hold the reception in the ancient rooms of the manor, which will win your guests over. The rooms are renovated, fully heated and equipped with fireplaces. For a ceremony with a religious rite, the spouses can choose among the many churches near the fortress. The municipality of Calolziocorte has six parishes, and in the small village of Rossino, from which the castle takes its name, there are two churches. The oldest is decorated with frescoes dating back to the fifteenth century. An enchanting place to pronounce your vows. A staff with several years of experience that will support you through every phase of your Lecco wedding organization. The newly-weds have the opportunity to customize every detail of the wedding reception, from the mise-en-place to the decorations. For a menu with elaborate dishes, a proper restaurant service is offered by the Castle. The dishes will be prepared directly on site, thanks to the open-view kitchenspresent within the structure. If the party continues till the late hours, you can close it with a show of fireworks. Spouses can extend their stay at the Castle by spending their wedding night in the Tower Suite, on the top floor of the castle. 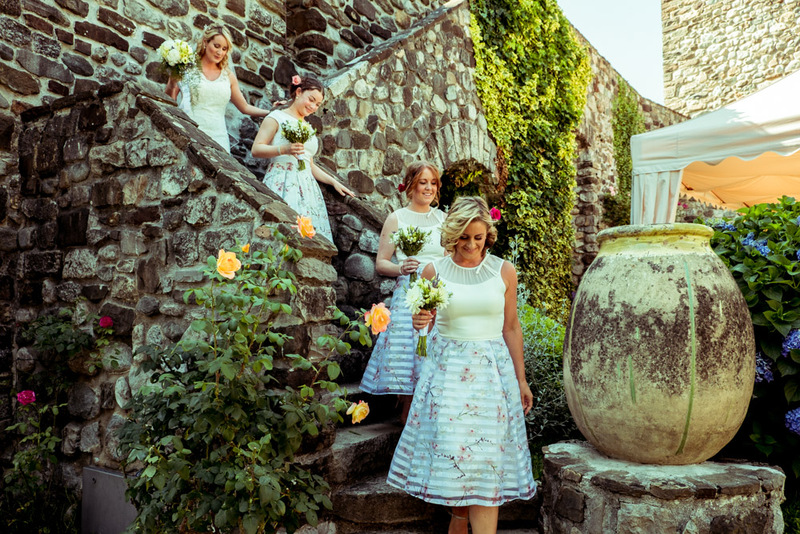 If you are looking for a location for weddings near Bergamo or weddings near Monza Brianza or even weddings near Canton Ticino, the Castle of Rossino is the perfect choice, thanks to its privileged position in relation to these neighbouring places. Request information through the website, we will clear all your doubts, for a fairytale wedding!